This is a high quality, replacement knock sensor for your B5-A4 or S4 or C5-A6 or allroad with the 2.7T or 2.8L motor. This piece is made by Vemo. 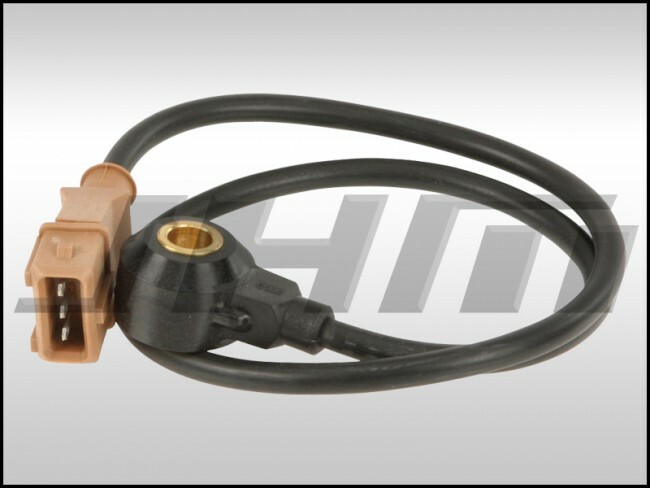 If you are getting the code "16716 - Knock Sensor 2 (G66), P0332 - 35-00 - Signal too Low" it's possible that one or both of your knock sensors have failed and you'll need to replace them to ensure proper running of your motor. NOTE: Each motor will require 2 knock sensors. Make sure to change your quantity to 2 before adding to your cart if you need both.